I picked up a 2018 gt here and I gotta say that the staff at Stevens creek vw are all honest and friendly, I love my car and got a decent loan!!! Thank you. FANTASTIC EXPERIENCE! Stellar customer service. David Wei, the sales manager, is a gem of a person to deal with. He is so nice that you feel like just keep talking to this gentleman. He helped me lease my eGolf 2019 when the dealership was about to close in the night. But, he never showed any signs of hurrying up things. He helped me with everything to my fullest satisfaction. I would also like to name another amazing sales consultant, Boris Brik. He is a very sweet person and is extremely knowledgable about cars and technology. His way of explaining new technology to customers is too good. Good job Stevens Creek VW Team. Love you! Great sales service from Bill Wessel. Friendly guy and no high pressure sales techniques used. Just good information on all aspects of the car and was fair on the deal! Same from the finance office - all options were explained regarding the best deal. Straightforward to deal with in my experience. I don't usually bring my car in to the dealership because it's much more expensive than the mechanic where I usually take my car. Last week I was hearing a strange sound coming from the engine--I called my mechanic but he was booked for the week, so I reluctantly made an appointment with Stevens Creek VW and Mo was assigned to help me. I have to say, after receiving such great service, I am considering making Stevens Creek VW my go-to place for my service needs. Mo was an attentive listener from the very first interaction and he seemed genuinely invested in trying to resolve the problem I was experiencing with my car. The service team was able to pin-point the problem and Mo definitely made sure each process was patiently and extensively explained to me. He also kept me posted on the progress (took two days in the shop) and bonus points for being text friendly! This was the first time I felt completely comfortable with mechanic/dealership work, at no point did I feel "cheated" or like I was trying to be upsold. All in all, this was a 10/10 experience. Car is running great, friendly staff, transparent service...I will definitely be back for regular maintenance on my vehicle. I had a fantastic experience buying a used Kia Sportage at this dealership. My salesperson, Pete, negotiated a fair deal and had a great attitude from start to close. A week later from purchasing, I had a service light turn on in the car. I brought it in and was welcomed with smiles and then they promptly fixed the issue. Overall great customer service, and very professional from the salesperson, the receptionist, the service people and everyone else I saw. I will most likely be coming back to buy my next car here. 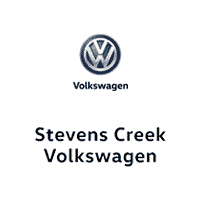 If you are looking for a great deal for a new or used car you need to visit Volkswagen in Stevens creek. And when you get there ask for Pete he is amazing and gets you the greatest deals. This is my second time getting a car from him and both times he was amazing. He really hears you out and gets you what you are looking for. Quick service of my VW. Customer friendly atomsphere.